Those seeking a traditional yet stunning men's 18K designer gold ring need look no further. 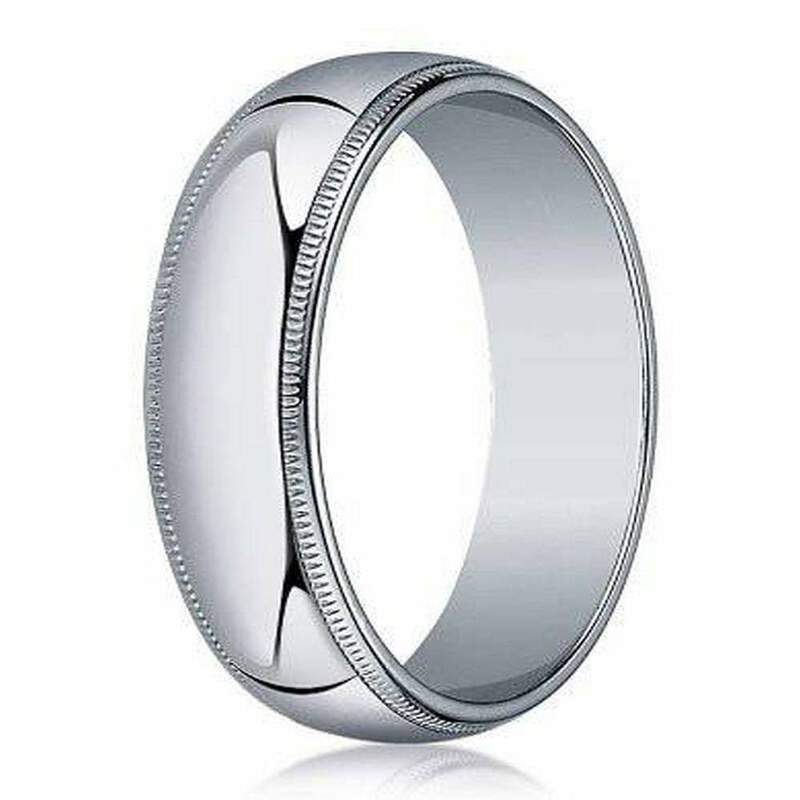 Milgrain edges trim an attractively polished dome profile in this 18K white gold wedding ring. A 4mm wide band has a standard fit interior.